I found ,,THE MINIMALIST CHALLENGE" in Pinterest few days ago and I just asked myself- why not to get started right away with something like this? The spring is coming (thank God!) and that's the ideal period for clearing out. 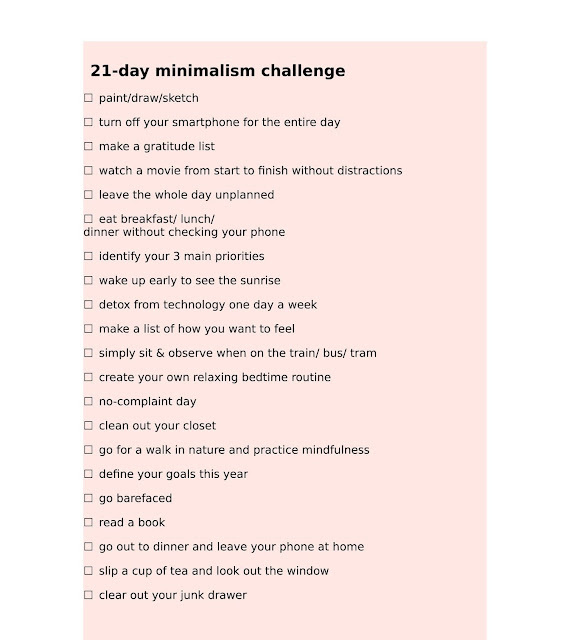 Since I didn't create any New's Year's resolutions list this year (ok, I am lucky and I don't really need to lose weight or something like that:)), I've compiled 21 one-day assignments to help me to create a simpler life with more energy for things I love. 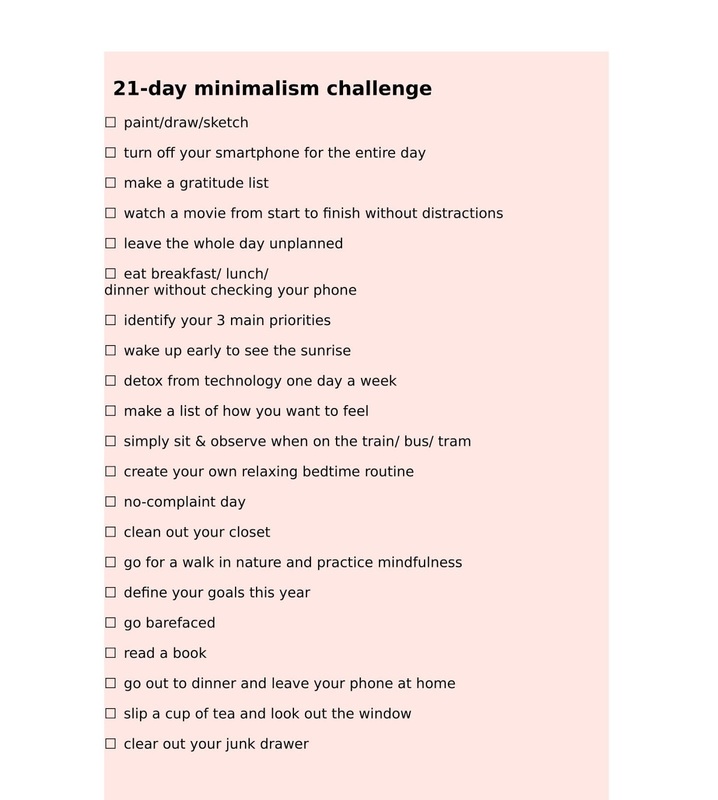 The rules for this challenge: do 1 thing a day, the order is up on you, but don't skip a day! If you want to join me, feel free to contact me, I'll send you my assignments in a better quality, so you'll be able to cross them off one-by-one and see your small progress:).